Steiff Retail GmbH is a plush toy like teddy bear company founded in 1880. Margarete Steiff started the business in 1877 and established the company in 1880 where she first made toy elephants based on a design she saw in a magazine and sold as cushions to her friends. The kids really love them and she started making more designs for kids. Today the company is located in Giengen an der Brenz, southern Germany and has more than 1300 employee. For the past years Steiff Japan sells a special teddy bear sold only in Japan. 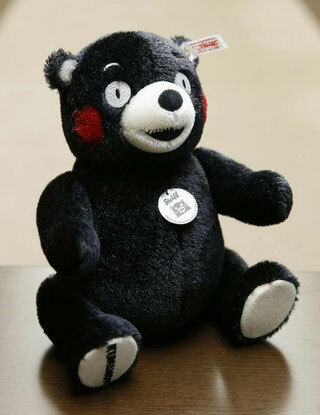 It is the Kumamon Teddy Bear. 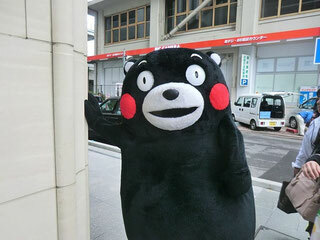 Kumamon is a character of the Kumamoto prefecture which has been very popular in Japan recently. In an effort to attract tourists after Kyushu bullet train opened, Kumamon ( " くまモン in Japanese") was created as mascot to represent Kumamoto prefecture (such a mascot called "Yurukyara" in general). The character was so popular that it was voted as the top in a nationwide voting for the best mascot in 2011. If you have something from Kumamoto prefecture, you can put the Kumamon design on it to stand out. The Steiff Kumamon face looks slimmer than a normal Kumamon. What do you think? The reservation started 12:00 mid night tonight 12 May, 2013 (Japan Standard Time) on its official website. It costs 29, 400JPY and 1, 500 of them only available. The reservation already ended. You can still buy them circulated on the market like the below. Because of the high demand and small supply, the price is higher than the original price. We have one of these. You place a coin on the box and the cute animal comes out of the box and take the money into the piggy bank. We did not know the one with Kumamon exists. Important to have it in the winter. You put a hot water and Kumamon will keep you warm. This guitar is a special piece from Fernbandes. It is made one by one based on order. It is a piece of art. Disclaimer: These shops above are just examples we happen to find online in Japan. The price and terms are all as of the time of the article, all subject to changes from time to time including the availability of the goods. We do not support any of these. 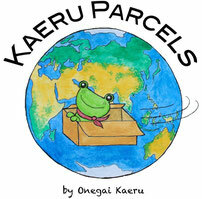 Onegai Kaeru shall not take any responsibility regarding any issue with these shops. Did you know there is a cat island in Kumamoto? How to get Yakushima island?